Our exclusive calculators estimate the amount of materials you will need, so you know what to expect when starting a home improvement project. See how different selections will affect the bottom line, then get free quotes from a contractor near you! 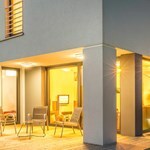 As always, if you need help throughout the process, ImproveNet can connect you with up to four contractors in your area. Carpeting adds value to the home and when placed in the right rooms, makes the room warmer both literally and figuratively. You can determine how much carpet you need by using our carpet and stair calculator. Estimating ceramic tile depends first on where the ceramic tile is going to be. The most practical use is for flooring, whether it’s in the bathroom, kitchen or patio. To estimate how many tiles your project requires, use our ceramic tile calculator. 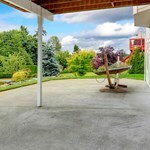 Concrete and cement can get expensive, so it pays to know how much concrete you need for your next masonry project. Enter the ImproveNet concrete calculator - see exactly how much your next project requires. 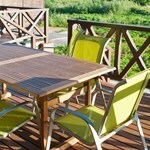 Decks are quickly becoming the norm rather than the exception. Luckily, you have plenty of deck options. Before you make a final decision, be sure to use our deck calculator to ensure you don’t overspend of decking materials. Drywall boards are used for interior walls and ceilings, and homeowners have to replace their existing drywall more often than you’d think. 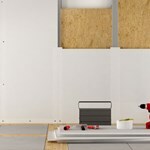 Figure out exactly how much drywall to purchase with our drywall calculator. 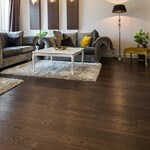 Hardwood flooring is taking over in rooms across the home. They’re beautiful, durable and easy to clean. However, before you install hardwood, you have to know how much wood to purchase. Enter our hardwood floor calculator. Every home uses a certain amount of energy per month or per year, based on appliances, insulation, and the heating and cooling systems inside of it. Find ways to reduce your estimated energy costs with our home energy calculator. If you’ve decided to use a home equity loan or line of credit to finance a home renovation, calculating your equity will give you an idea of how much money is available for you to borrow. Use our simple home equity calculator to find out! 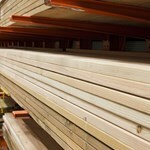 Lumber plays a big role in many homes, but before you go buy supplies, you need to know exactly how much to purchase. Whether it’s lumber for rafters, beams, or flooring, use our lumber calculator to estimate your project needs! 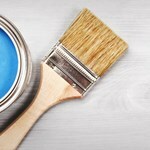 Painting is one the most popular DIY projects, but estimating how much paint you need is not easy. Luckily, our paint calculator below takes the guessing out of the equation. Once you find your answer, be sure to connect with painters near you! As always, ImproveNet is here to help you! Let us find you four local painting pros to help you with your project. 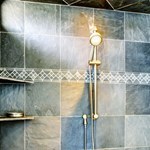 Tile is an irreplaceable material in home furnishing. It can withstand moisture, humidity, spills, and stains. 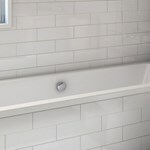 Use ou r tile calculator to estimate how much you’ll need for your next home improvement project. Your roof is without a doubt one of the most important elements of your home. If it's distressed, repairs are necessary to prevent extensive and expensive damage. Use our roofing calculator to estimate how many roof squares you’ll need for your project. Installing new sheet vinyl flooring spruces up a home, adds resale value and helps the space make a great first impression on guests. 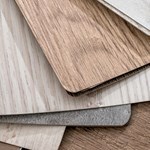 Our vinyl calculator will help you accurately estimate the amount of vinyl flooring needed for your next project. When buying wallpaper, it’s always smart to buy extra in case you have accidents while trying to hang it or need more for repairs later. Use our handy wallpaper calculator to estimate how many rolls your project requires! Why you install a fence is easy. 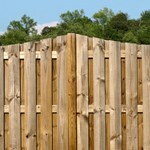 How much wood fencing you need is another obstacle all together. Luckily, you've come to the right place. Use our wood fence calculator above to determine exactly how much wood you need for your new fence. Once you enter all your specs, you'll see how many post, rails and boards are required.